Senior Consultant Stephen McPhail takes you through two detailed case studies that illustrate how strategic pricing can give you competitive advantage while improving overall revenue performance. 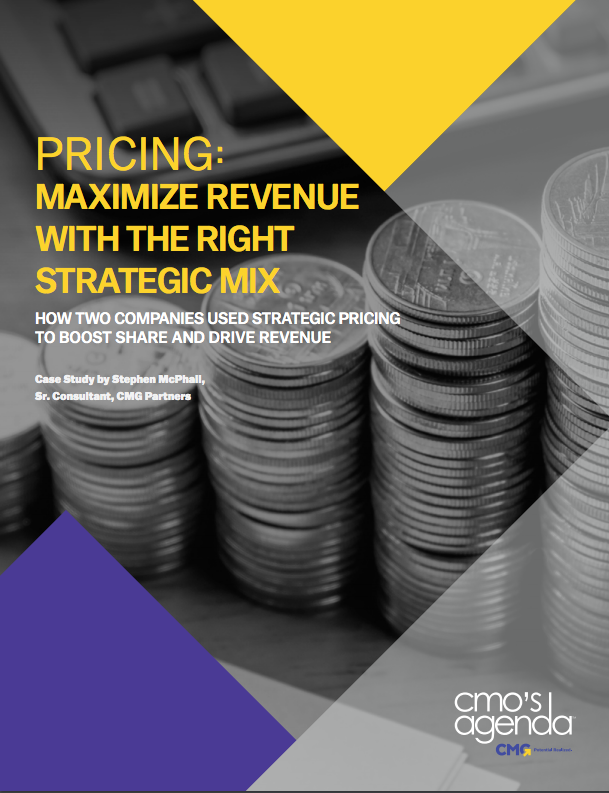 This CMO's Agenda shows how adopting a strategic pricing approach to your pricing package portfolio is an effective solution to competitive pricing. Over the years, CMG has conducted extensive research with marketing leaders on topics that we have identified to be the most relevent and meaningful for CMOs. The following is a comprehensive list of the research, interviews, and analysis that CMG has developed to help CMOs and other marketing executives reach their full potential as leaders and marketers.